The Verde Planter Box gives a finishing touch to any outdoor setting. 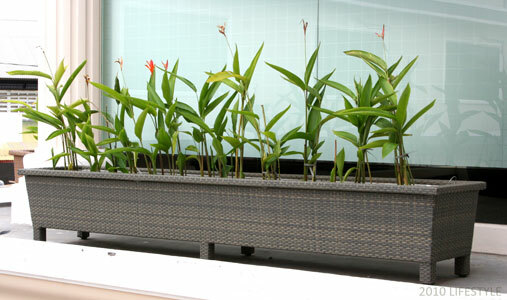 The inner removable aluminum liner with drainage holes allows for planting directly into the planter or for placing a pre-potted plant. Suitable for indoors as a room divider as well – a very versatile piece!